Lying on the northern outskirts of Europe, Norway’s austere beauty has attracted people across the world with its natural heritage such as fjords, coastlines, lakes and mountains and thus providing ample opportunities for adventure. They call it the land of the midnight sun where northern lights dance upon velvet skies and in between the blue hour – that perpetual state of twilight especially beautifies Norway like no other place on the planet. Home to the world’s most rugged coastline, it’s a place where unrelenting fjords carve their way through pastoral settings forging the most magnificent landscapes where the idyllic silence is broken only by thundering waterfalls and the delightful cacophony of seagulls. Negotiating these steep mountains reveal enchanting villages steeped in Norwegian culture and tradition. 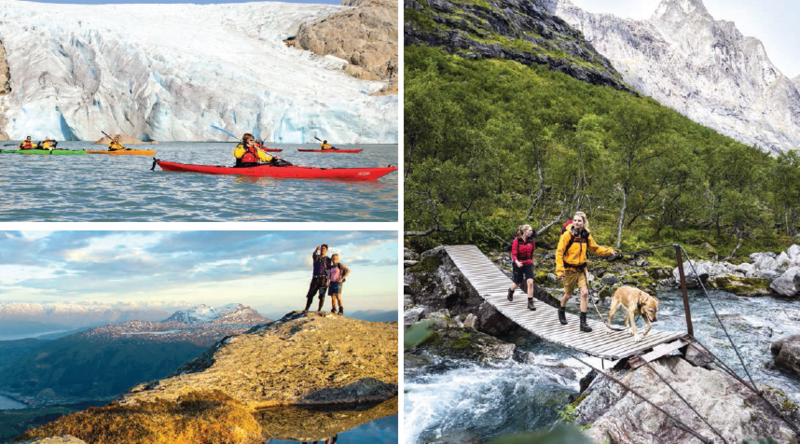 Norway, Europe’s final frontier has captivated hikers, trekkers, mountaineers, bikers, rafters and the most adventurous souls from all over – who sought inspiration in it’s scenic splendour. Norway, with its 5 million inhabitants, is a large country and sparsely populated. Topography along the coast, fjords and mountains is complex, and the best way to experience it is perhaps by hiking or biking. The main attraction in Norway is the country itself with its landscapes and nature with an abundance of fjords, islands, coastline, forest, lakes, mountains and waterfalls. Fjords are perhaps Norway’s most famous attraction, and many tourists rush to Geiranger and Flam where the most famous and UNESCO protected are situated. However, with the typical ones found in west Norway from Stavenger to Kritiansund as well as in north Norway, until about Tromso, there is no special need to go to Geiranger, Flam and Lysefjorden to experience the magic of fjords unless you want to be there because of your acquaintance with the names. Half the fun of hiking the fjord Norway is allowing yourself to be seduced. Unexpected sightings of wildlife or a detour that brings you to hidden treasures as the key to your fulfilment lies in the journey. Public transportation even to remote areas is available and reliable, allowing you to plan your journey in advance. Fjord Norway offers almost unlimited hiking opportunities. 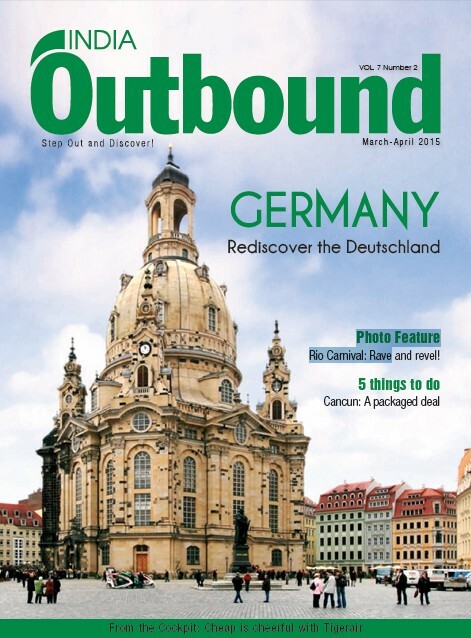 The two most popular offer some of the most famous photo opportunities in the world. Trolltunga (the troll’s tongue) is a piece of rock protruding horizontally 700 m above the Ringedalsvatnet lake, overlooking the luscious green valleys of Hardanger. Meanwhile, the journey from Stavanger to Preikestolen (the pulpit rock) is almost as good as the attraction itself. 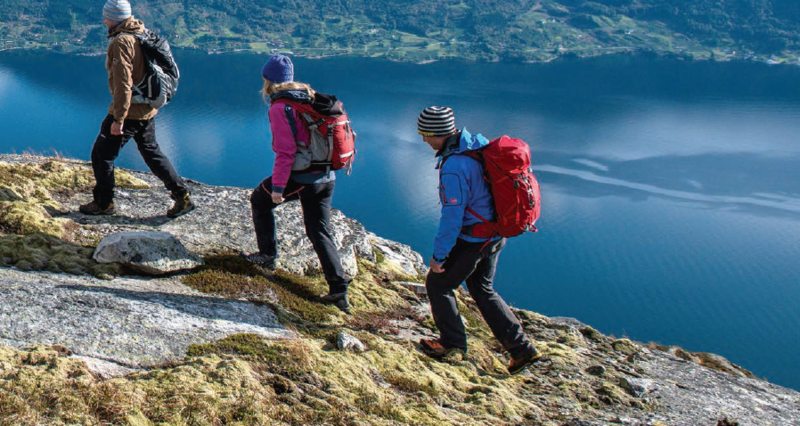 To reach the huge steep cliff overhanging the Lysefjord you must take a 3.8 km trail around ridges and through varied mountain landscapes having always stood firmly by the belief that impulsive adventures are exhilarating and therapeutic. Given its location perched proudly atop Europe, it is not surprising that the far northern reaches of Norway are dominated by northernmost claims to fame. These, one would imagine, self-appointed titles come thick and fast as you head further and further above the Arctic Circle on the way to the granddaddy of all Norway’s northernmost monikers: Nordkapp (North Cape) – the northernmost point of Europe. The real prize at reaching Knivskjellodden, though, is the sense of achievement, and also the absurdity, of looking back at what is widely regarded as Europe’s most northerly point. The serenity of gazing northwards and dreaming of nothing but water, North Pole as well as the abundance of sea life, bird life, wildflowers and berries, all make the trek a highly rewarding experience. Sitting there catching your breath and resting your legs at the half way point and highlight of the journey, you can’t help but take pleasure and pride from the fact that the real northernmost point of Europe is a true wilderness area befitting such a title.